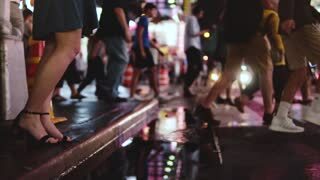 Atmospheric slow motion shot of young female legs walking across busy crowded street at night in Times Square, New York. 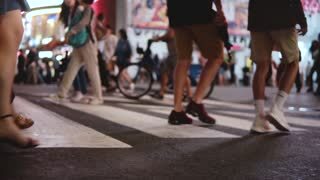 Side view slow motion shot of young businesswoman walking across crowded street at night in Times Square, New York City. 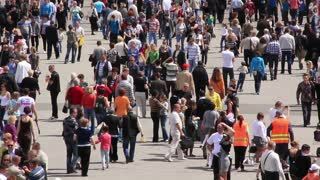 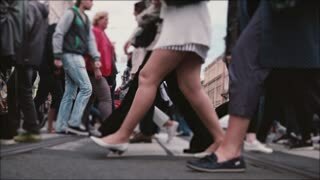 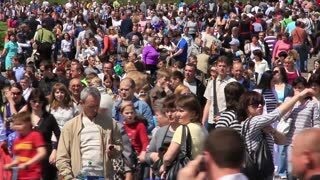 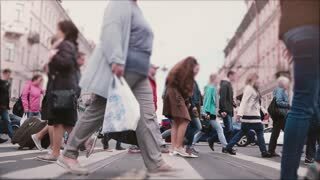 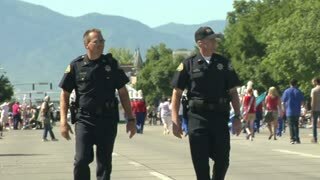 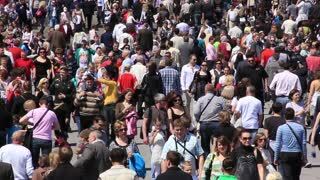 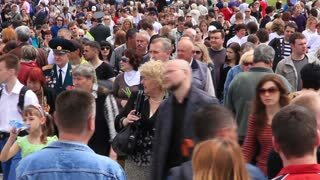 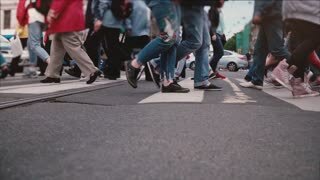 Low angle slow motion shot of people's legs and feet crossing a busy city street, red bicycle passing close by camera.